How do I become a Spalding retailer? Contact the Wholesale Department at the following link sales@spalding.com.au informing us of your interest in becoming a dealer, the name of your business, and your location. A representative will contact you. I saw a Spalding product at a retail store or another website, so why isn’t it on your website? A number of Spalding items are exclusive to certain retailers. We do not keep every item on hand to offer on www.spalding.com.au. Please feel free to contact one of our stockists to inquire about any of our other items you may have seen which are not visible on our website. If you would like advice on available stock, contact your local store directly. All website (Shop Online) orders are processed via our website only. If you have further inquiries you are welcome to contact our Customer Service Team by calling 1300 654 766 or emailing info@spalding.com.au. Spalding is proud to accept MasterCard, Visa, American Express and PayPal. Unfortunately, we cannot offer Direct Deposit, Cheques, Diners or cash on delivery as payment methods. Is it safe to use my credit card on spalding.com.au? Yes, shopping at spalding.com.au is safe and secure. Transactions are processed through the secure eWay Payment Gateway service. To protect cardholder data eWay complies with the Payment Card Industry Data Security Standard (PCI DSS). The PCI DSS is the global data security standard that any business of any size must adhere to in order to accept payment cards. It presents common-sense steps that mirror best security practices. You must enter the promotional code in the 'promotion code' box at the shopping cart stage of your checkout and click 'apply'. The application of the promotion will then be visible in your cart. Australian shipped orders are sent using Australia Post and a tracking number will be provided to you via email. This can then be tracked with directly with Australia Post at http://auspost.com.au/track/. Once you have placed your order and received your order confirmation, your order cannot be canceled or amended. If you wish to exchange or return an order please refer to the Returns and Exchange Policy. I have seen the same product on another site. Do you price match? Whilst we do keep an eye across the market and on our competitors’ prices, we are unable to price match for product purchases via our online store. We do however offer monthly promotions and regular sales that may be of interest. If you're after a bargain, we welcome you to sign up to receive our offers, promotions and news via e-newsletter from us. We take great pride in our reputation for quality, and if for any reason you are dissatisfied with your purchase, we will assist you with an exchange or refund. Items returned for exchange must be done so within 14 days from the original delivery date in a resalable condition (unused, undamaged, and un-soiled products still in original condition). The Spalding return form must be included with the item when returned. Please allow 10 days from the day you return your product for your account to be credited or online credit to be issued. For further detail please see our Orders and Returns page. If you purchased an item from one of our retailers and wish to return it, please return to your place of purchase with your proof of purchase. Please be advised that exchange postage and handling costs will be incurred by the purchaser. If an item is faulty you will be provided with a reply paid number and address to ship the product back to us. Spalding does not take any responsibility for returns lost in transit. 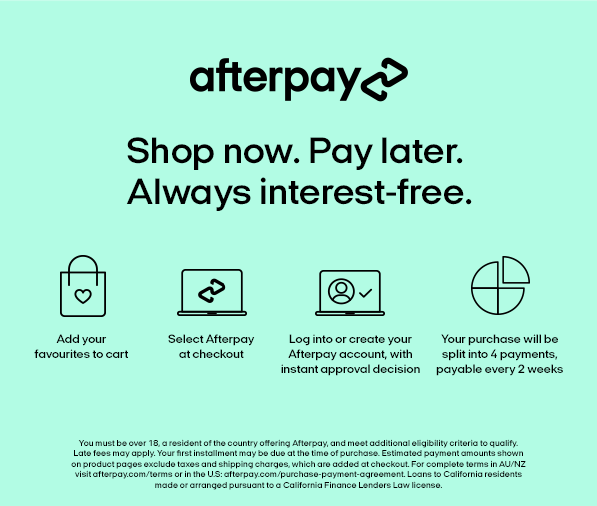 If I purchase online can I exchange in-store? No, unfortunately, exchanges can only be made through our online department. Promotions, where you receive a reduction on the second item, will be applied at the checkout on the lower priced item. Free Promotional merchandise offers upon meeting minimum spend requirements are only available until stocks last. An alternative will not be provided where the stock is no longer available. Spalding can at its sole discretion, extend or terminate a promotion at any time. Can I get express shipping on a Basketball System? Due to the size of the item and the freight service required to deliver it, we cannot express ship basketball system orders. What size and material is the official NBA game ball? The Official NBA Game ball is a size 7. It is made from full grain leather. How can I ensure my basketball remains in good condition? 1. Ensure to not leave your basketball out in direct sunlight or rain for extended periods of time. How much do I pump up my basketball? Why shouldn’t I inflate a ball over the intended PSI? Over-inflation may damage the integrity of the ball and it will not perform to standards. Extreme over-inflation can cause the ball to explode, which may result in severe injury. What is a composite or composite leather cover? A manmade material that usually takes on the look and the feel of real leather and requires little to no break-in period as real leather does. How do I break in my leather basketball? You break in a leather basketball by playing with it. There are no products or machinery needed. Skin, sweat, and simply playing with the basketball will break in the leather over time to the point where it is game ready. Which ball is best for outdoor courts? A rubber or durable composite leather cover is ideal for outdoor courts. Our outdoor and indoor/outdoor basketballs are marked as such on the ball itself. What does size 5, size 6 and size 7 mean in regards to basketballs and which one is best for me? Size 5 is designed for youth players up to age 9. The ball has a circumference of 27.5" and weighs approximately 18oz. Size 6 is the official size of all women's leagues and also serves as the appropriate size for youth player’s ages of 9 to 12. The ball has a circumference of 28.5" and weighs approximately 20oz. Size 7 is designed for all male players, 13 years and above. The ball has a circumference of 29.5" and weighs 22oz. We aim to have your delivery to you as soon as possible. If you have purchased Priority Shipping and placed your order before 11 am AEST your item/s will be dispatched that day. For standard delivery and International orders, your item/s will be dispatched within 2 days of placing your order. Please note that during public holidays and peak periods shipping times may be delayed. What are the Spalding Online Stores Hours? The Spalding online store is open for purchases all day every day. Customer Service is available to help process your order or answer any questions you might have regarding Spalding products on our website. What do I fill the base with? We recommend filling the base with either sand or water and please refer to your owner’s manual for the proper amount to be used with your system. How do I find the model number of my Spalding Basketball System? In-ground – There is a three digit number on the front of the backboard, near the lower right section of the shooting square. This set of numbers will help identify your system. Why doesn’t my rim sit flush with my glass backboard? Our tempered glass backboards come with steel spacers and a foam pad and these are used to separate the rim from the glass backboard and prevent the backboard from shattering. You should have 1/8 to ¼ inch gap between the backboard and rim when properly installed. These components must be in position BEFORE attaching the yokes and assembling the rim. If the spacers are not in place, the board can be prone to shattering given it is a glass backboard. Please do not overtighten the bolts, as this can also lead to the board shattering upon installation. Can I convert my portable system to In-Ground? Some portables can be converted to an in-ground system depending on the mounting of the backboard. This would require purchasing an in-ground pole system. This is because in-ground systems and portable systems use different pole kits. The only parts you would use from the portable system would be the rim and backboard. To find out if your system can be converted, please call 1800 632 792 (Mon - Fri 8 am - 4 pm AEST) with your model number and a representative will assist you. Can I convert my In-Ground system into a Portable? No. Unfortunately, it is not possible to convert an in-ground system into a portable. How do I take the pole apart? Our poles are designed to stay together permanently once assembled. If my system develops rust, what should I do? Check your pole system regularly for signs of corrosion (rust, pitting, chipping) and repaint with exterior enamel paint. If rust has penetrated through the steel anywhere, or if you have any questions about whether or not that has happened, do not use the system anymore. Contact us immediately for instructions. Does the sand have to go inside the base or can I just put weight on top of the base? The sand will have to go inside your base. Adding weight to the top can crush or crack the base causing the system to become unstable. Spalding does not provide installation, we do offer this service via our partner Hunter Leisure for Portable System assembly only (excludes In-Ground Systems & Backboard Rim Combo installations) contact Ph: 1800 632 792 (Mon - Fri 8 am - 4 pm AEST) to make your installation booking. Please note that labour charges, call-out fee & related expenses for the removal, installation or replacement of the basketball system or its components are not covered by the Spalding Warranty. Is it ok to fabricate anything on or to my system? Any fabrication or modification to your system will void your limited warranty. Do I have to use the ground sleeve for my In-Ground system? In order to install your system properly, you will need to utilise all of the parts provided and follow all the steps in your owner’s manual. How can I prevent my portable basketball system from being blown over? Check system before each use for instability. Ensure your unit is kept on a flat hard surface and after assembly is completely fill the base with the required amount of material stipulated in your user manual. Frequently check to ensure the base is full of water or sand. As water evaporates therefore particularly in warmer climates and/or Summer months your base will require monitoring more often than other periods of the year to ensure it is full to maintain the best stability of your unit. Do not use your system during windy and/or severe weather conditions; as the system may tip over. If you are expecting inclement weather, safely place your system in the storage position, which should be carried out by two capable adults and/or placed in an area protected from the wind and free from personal property and/or overhead wires. Never leave your system in an upright position without filling the base with the required amount of sand or water, as the system may tip over causing damages to parts and/or injuries. Additionally, where possible avoid it being on grass, as it is not as stable and can be prone to bringing on rust/corrosion in time due to the dampness of that material. The surface beneath the base of your system must be smooth and free of gravel or other sharp objects. Punctures may cause leakage and could cause your system to tip over. Use caution when moving system across uneven or sloped surfaces; as the system may tip over more easily. To request a spare parts quote please fill out our form here. To submit a Warranty claim please fill out our form here. For further information or to follow up a request/claim please contact our Spare Parts and Warranty Department at backboards@spalding.com.au.